PETALING JAYA: Johor-based property developer BCB Bhd is eyeing opportunities to develop more projects in the Klang Valley. 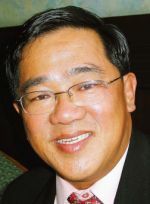 “We are definitely looking at more prospects in the Klang valley,” group managing director Datuk Robert Tan Seng Leong told StarBiz yesterday. “The prospects in the Klang Valley is good and is quite stable,” he pointed out. BCB currently has three ongoing projects in the Klang Valley with total gross development value (GDV) of RM2.6bil. He said response for the company Concerto Kiara, which was launched earlier this month,was good. Tan said the company had about 1,000 acres in Batu Pahat. For its third quarter ended March 31, 2012, BCB's net profit rose to RM3.95mil from RM2.42mil a year earlier mainly due to better sales margins, while revenue fell to RM32.26mil from RM34.97mil previously. For the nine-months ended March 31, net profit rose to RM7.64mil from RM6mil a year earlier while revenue rose to RM89.70mil from RM80.35mil previously. In its notes accompanying its quarterly results to Bursa Malaysia, BCB said it was optimistic of its performance for its current financial year. “In the coming months, the group will facilitate the launch and development of its Klang Valley properties. “The group is optimistic that these projects as well as existing ones will contribute positively to its earnings,” the company said.